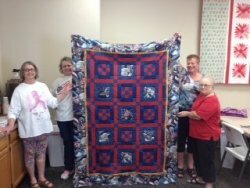 Woodside Quilting QOV Anniversary Retreat! 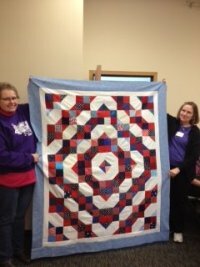 for our Woodside Quilting QOV group in the Retreat Center. We had so much fun at our first retreat we're doing it again! The cost is only $25.00. 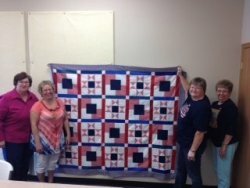 There will be a 15% discount on all Red, White, Blue and Patriotic fabrics for the retreaters during the retreat. This is a non-food retreat except for a light lunch on Saturday the 22th. There will also be prize drawings, group projects and a whole lot of fun! 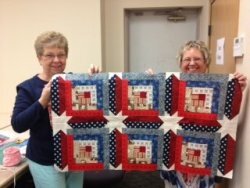 Come enjoy a fun filled QOV weekend sewing for our Veterans! Please call or stop in the shop to sign up. Your payment secures your place in the retreat! 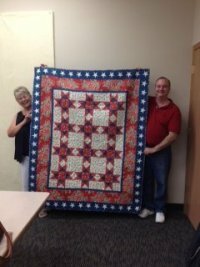 Thank you for all you do for our Veterans. 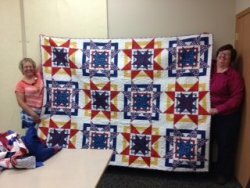 As many of you know who have come with us to award these QOV quilts, It is a very moving experience for a very worthy cause! THANK YOU!